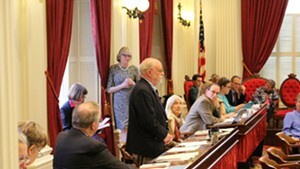 The head of Vermont’s Agency of Natural Resources approached lawmakers on the first day of the legislative session to propose allowing developers to treat less stormwater runoff. Natural Resources Secretary Julie Moore told lawmakers on January 3 that the state’s standards to reduce polluted runoff from large developed sites should be changed in favor of more “environmentally efficient” regulations. Moore also sought another year to finalize permit requirements that were supposed to be finished by January 1. Lawmakers, frustrated that the agency has already missed its deadline for the permitting requirements, want to be sure that they aren't being asked to weaken environmental protections. Under a state law passed in 2015, ANR was to create a permitting system for all properties in Vermont with three or more acres covered by surfaces such as parking lots or rooftops — roughly 1,000 parcels in the state, according to ANR's estimate. The permit requirements will dictate what developers have to do to bring those properties into compliance with Vermont's water-quality standards. 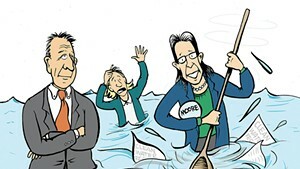 Moore told lawmakers that her agency missed its deadline because she raised questions about how the state regulates runoff from developed land. Moore said those regulations should be made more flexible so that developers can select the most cost-effective environmental projects. “We don’t think it will change the outcomes,” Moore told the House Natural Resources, Fish and Wildlife Committee as she outlined her strategy. The state’s existing standard calls for developers and municipalities to collect and treat the first inch of rainwater that falls on a parking lot or a similar surface in a 24-hour period. Stormwater can be managed on-site using methods such as rain gardens, sand pits or stormwater retention ponds. One of the pollutants officials are most focused on is phosphorus, which has fueled potentially toxic blue-green algae blooms in Lake Champlain and Lake Carmi in recent summers. Moore said that instead of collecting and treating a specific amount of water, the state should require that developers reduce the amount of phosphorus flowing from their properties by half — regardless of how much water is treated. Moore said that by treating the first inch of stormwater, developers would remove more phosphorus from the water than required. Lawmakers who listened to her pitch quickly focused on a simple question: Would Moore's proposal treat water pollution as well as the existing standards? 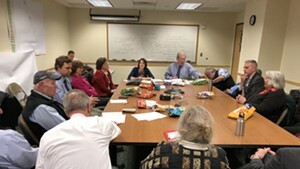 When Emily Boedecker, the head of ANR's Department of Environmental Conservation, testified before the House Natural Resources, Fish and Wildlife committee, Rep. Trevor Squirrell (D-Underhill Center) repeatedly asked her whether the proposed standard would weaken environmental protections. Boedecker told him again and again that the new plan is more cost-effective. "You're not convincing me; I'm sorry," Squirrell said, leaning back in his chair. Rep. James McCullough (D-Williston) tried the same line of questioning, and got similar answers. He complimented Boedecker on "staying on message" but said she wasn't answering the question. The panel is scheduled to question environmental engineers Thursday afternoon about how the different regulations might impact water quality downstream. Those aren’t the only questions lawmakers have. They’re also wondering why ANR missed the January 1 deadline to finalize the permitting requirements. It’s not unusual for agencies to miss deadlines set by state law, but it is unusual for the agency not to have a solid explanation why. Moore called it a “rookie mistake” that she didn’t formally request an extension. She said she got in touch with Deen in October or November to talk about the permitting standards, but never notified the legislature that the agency would miss the deadline. Deen was unimpressed. He said lawmakers should pass legislation this year to create a new deadline for ANR. “Maybe they’ll miss the next date certain, but we’ll come back and we’ll establish a date certain when they have to perform their duties, and attempt to hold them to it,” he said. 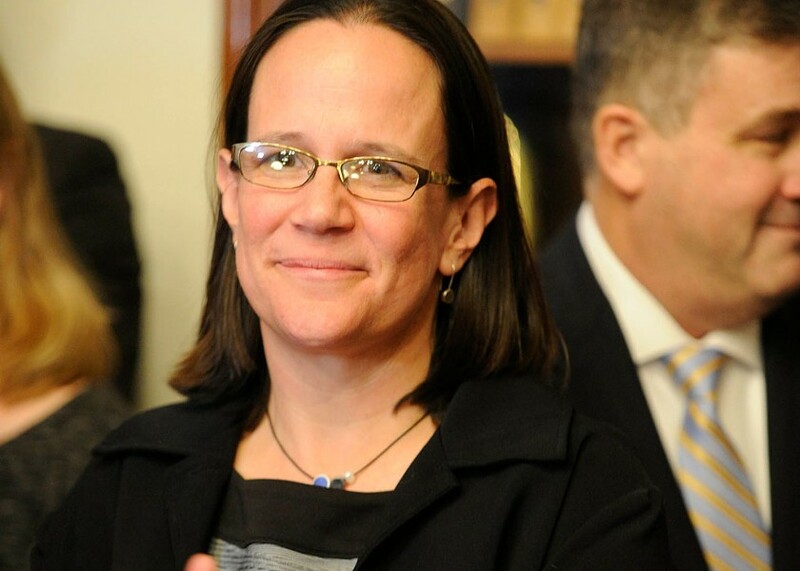 The Conservation Law Foundation's Weber said she was surprised that Moore laid out her proposals to lawmakers on January 3, because CLF worked with the agency for most of last year on the permitting process and it was going well. “It seemed like all the trains were running on time, basically,” Weber said. Weber said there was no mention during those discussions of changing the standards. She didn't learn about Moore's proposal until it was before the legislature. Deen says he’s disappointed with how ANR has handled its responsibilities, but said he’s now focused on making sure officials do the work required to get the state on track to meet its water quality requirements — on time.